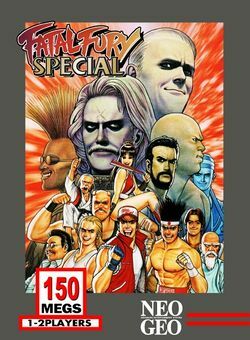 Fatal Fury Special is an update of Fatal Fury 2 that adds three characters from the original Fatal Fury (as well as Ryo Sakazaki from Art of Fighting) into the mix, in addition to making the bosses into playable characters. This game was one of the most popular games in Japan in 1993. It has been said that, as a result of the popularity that ensued from Ryo being a hidden character in this game, The King of Fighters as a series was born. This game was later ported to the Sega Game Gear and SNES by Takara, to the Sega CD by Victor Interactive Studios/JVC Digital Studios, and to TurboGrafx-CD by Hudson Soft. SNK Playmore released an Xbox 360 port on September 5, 2007 on Xbox Live Arcade.